Today we embark on our second trip to New Zealand and Australia as Calexico. Gearing up for the long flight and friends have suggested all sorts of remedies for dealing with the jetlag and over-extended body crumple of being in a bucket seat. I will try them all and hope for the best. I hear the first two shows, Wellington and Auckland, are almost sold out which is good news. Last time we played there was around 2003 when we released Feast of Wire and I remember the enthusiasm was especially noticeable from the shows. I remember the green hills and windy beaches of Wellington and the good friends we hung out with. I wonder if we will see fellow musicians, David Kilgour (The Clean), Robert Scott (The Bats) from Dunedin or Professor Graeme Downes (The Verlaines) and the lovely Chris Knox (Tall Dwarfs) in Auckland. 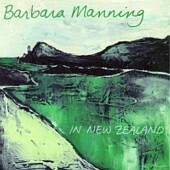 John Convertino and I first toured New Zealand in 1997 with singer songwriter Barbara Manning where we played with the previously listed musicians and made an album altogether titled In New Zealand (The Communion Label). Barbara was so well planned that we got to enjoy many a sightseeing adventure including the Waitomo Glow Worm Caves, the Kiwi Birdlife Park and the gorgeous coastline of Dunedin where we sampled the world famous Hokey Pokey ice cream (pronounced huggy puggy). We will be thinking of Barbara and our european lighting engineer, James Murray, who was born and raised in Auckland. He is a huge fan of the All Blacks Rugby Team and their warm-up ritual Maori war dance called the Haka. Go James! After New Zealand we head to Australia where I will be searching for some of those famous “Musk” flavored LifeSavers I heard about on today’s radio program Wait Wait… Don’t Tell Me. Great gift to bring back home.